Glutathione is a protein found in every cell of your body. It is a powerful antioxidant and detoxifier, which means it protects your cells from free radicals and boosts your immune system. Glutathione also keeps other antioxidants like vitamins C and E in active form. Unfortunately, your glutathione levels start to decrease after age 20. Two ways to support it as you age are: to consume foods that it occurs naturally in like fresh vegetables, fruits and red meat; and to take a supplement. Terry Naturally offers a natural supplement called Clinical Glutathione that promotes proper cell function and detoxification. 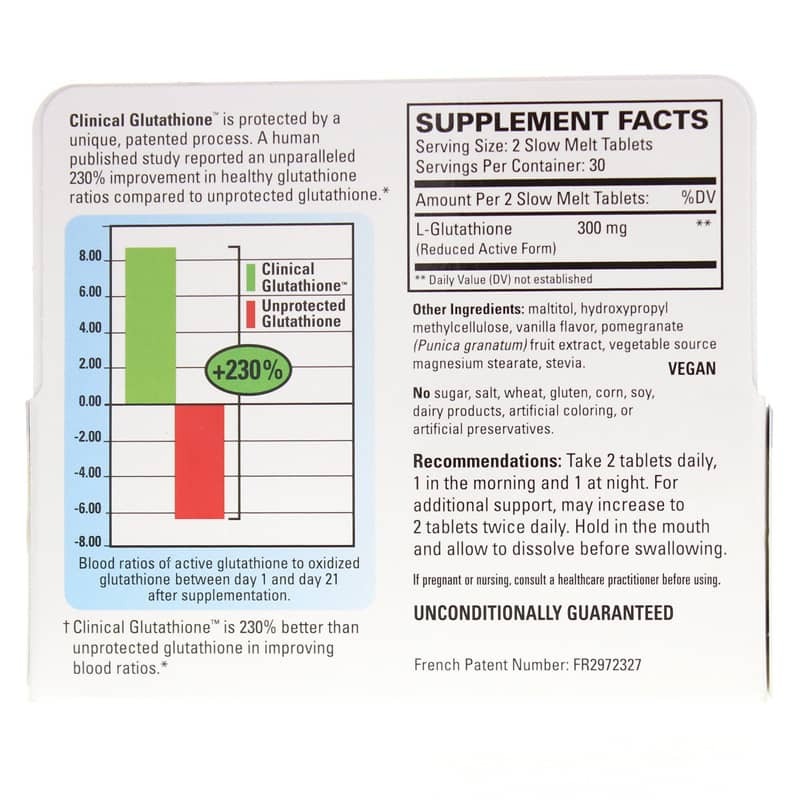 Each two-tablet serving has 300mg of L-glutathione (reduced active form). This formula does not contain artificial coloring, artificial preservatives, corn, dairy, gluten, salt, soy, sugar or wheat. 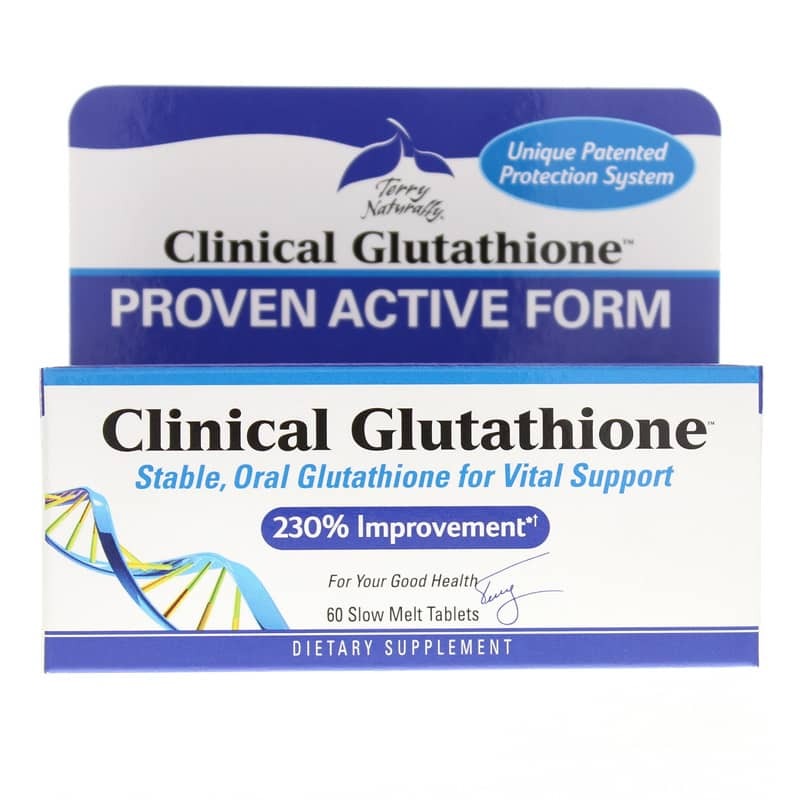 If you're looking for a natural glutathione supplement, check into Terry Naturally's Clinical Glutathione. Order online today! Contains NO: sugar, salt, wheat, gluten, corn, soy, dairy products, artificial coloring, or artificial preservatives. Adults: Take 2 tablets daily, 1 in the morning and 1 at night. For additional support, may increase to 2 tablets twice daily. Hold in the mouth and allow to dissolve before swallowing. I really trust the Terry Naturally brand. Glutathione levels can drop from stress, toxins in the environment and a bad diet. Just look it up and you'll see all the great benefits if offers!